Because everyone’s needs are different, FOX IV offers 5 different ways automate your packing slip process. 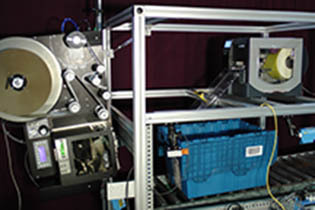 This solution utilized the TwinPrint’s™ two print heads to print the shipping label and packing slip on one single label. It prints the shipping information onto the top side of the label and the packing slip information onto the die-cut label liner. The packing slip is hidden when the TwinPrint™ label is applied to the carton. The ADS is ideal applications requiring a packing slip being inserted into an open box or tote as well as a shipping or routing label being applied to the outer carton/tote. It is a complete integrated system that includes scanning, database interface and conveyor. The Quick Slip™ is designed to print only on the under-side of a label – specifically repurposing the label liner. 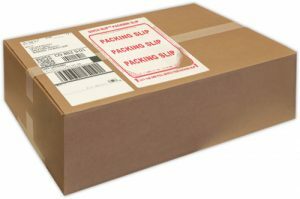 The top side has a pre-printed message such as “Packing Slip – peel to reveal.” The Quick Slip™ automatically applies the packing list to the outside of the box/shipping container while keeping the content information hidden until revealed. This system can also be used for promotions and coupons. Print and apply a label containing the packing slip information and then print and apply a specialty shipping label over top of the first packing slip label.